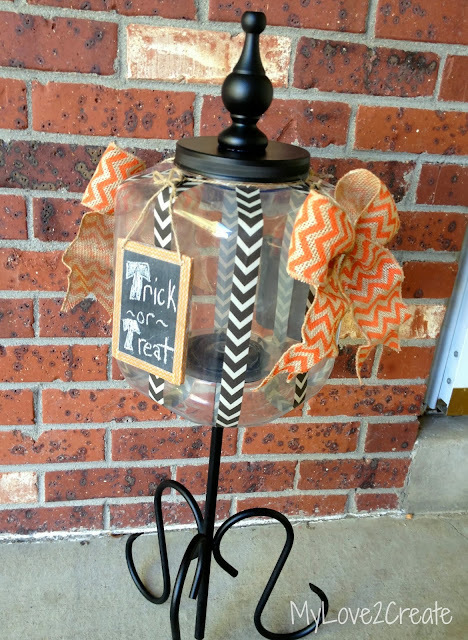 Trick or Treat Jar and Halloween Blog Hop!! It is that time...time to bring out the CANDY! Uh, I mean....the Halloween Decorations! It's October! I am super excited to be co-hosting in my very first blog hop and link party EVER! It is an honor for me to host among so many amazing bloggers. Be sure and link up, because I will be sharing some of my favorite projects on my social media, your project might be one of them! 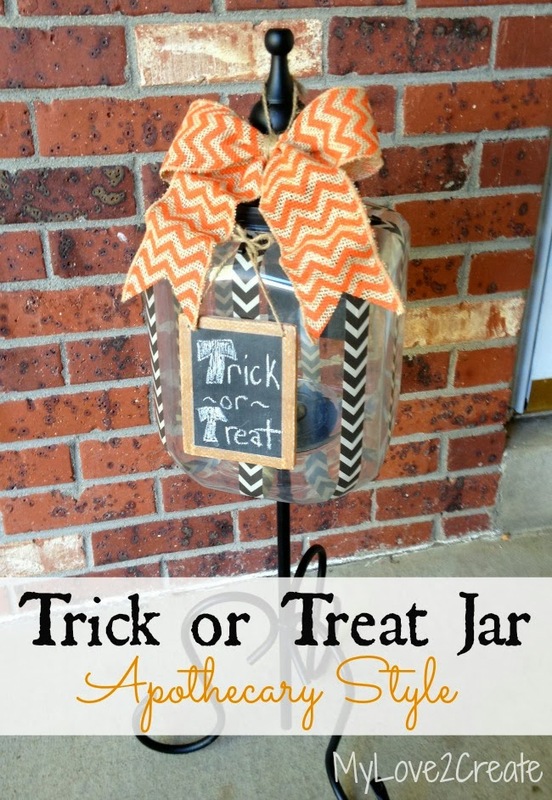 Before we get to the party, I want to share my fun repurposed Halloween project, a Trick or Treat Jar, Apothecary Style! 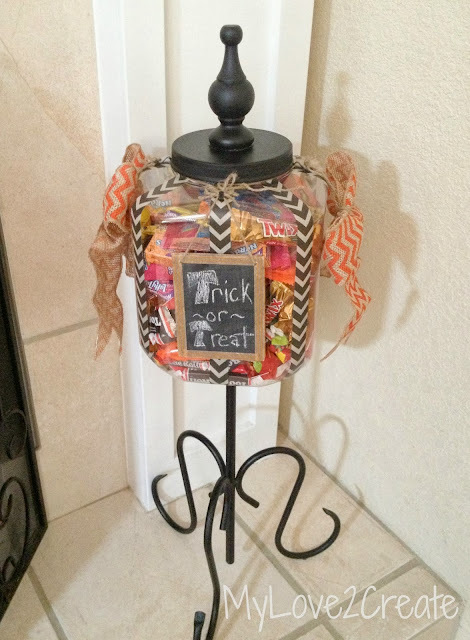 We all have trick or treaters coming and need somewhere to store all that candy, right? Well, I have come up with a fun way to display mine. You see, I have a hard time throwing things away that could be re-used, and that is why I still had this old animal cracker container. I also have a habit of collecting things that I could repurpose someday, which is where this metal stand comes in. I am not sure what it was used for, maybe a light, because the metal pole is hollow. I had picked it up (free, off craig's list) to maybe use as a topiary someday. As I looked at it closer, I was pretty sure the metal piece sticking out the top could be removed (top left). I set to work and with some pliers and muscle, I finally got it off! Phew! I was so excited because my animal cracker container and this metal stand were a match made in heaven! How perfect is that? It was time to remove the label. After I peeled off all the paper, I was left with a sticky residue. 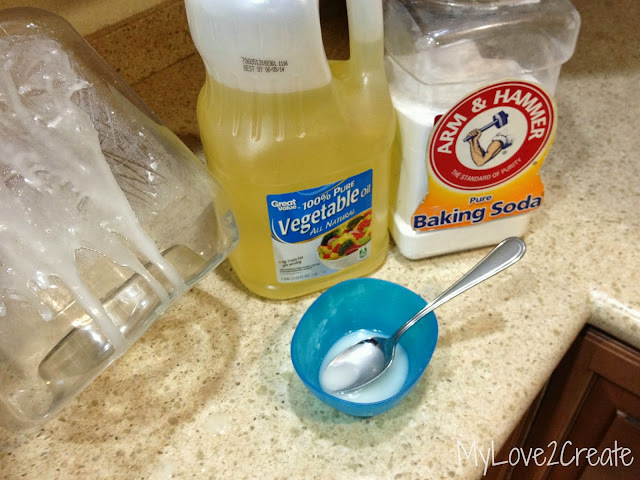 To remove it I used 1 part vegetable oil and 1 part baking soda. I put it on, let it set for 10 minutes, scrubbed it off, and then washed the container in warm soapy water....no more sticky! I thought about decorating the jar as a jack-0-lantern, but that idea wasn't "speaking" to me. I went down to my craft room and started looking around, that's when I spotted this washi tape...it was perfect! I slapped some on and, I was instantly in love! Now to take care of that blue lid. I used plastic primer first. Then I found a fun finial I had picked up for only cents at the Restore a while back. I spray painted them black, and then hot glued them together. I also hot glued the jar to the metal stand, it was looking good! But, I was not finished yet! You are probably wondering how I was planning on hanging them? Well at this point, so was I! I went to look in my garage for ideas, and I saw these picture hangers, you know the kind you just nail into the wall? They would work! So I sprayed them black and threaded them on the twine, I tied it around the jar and placed the hangers in the middle of each side, right on top of the washi tape, you can barely see them (middle picture), and on the right, they are doing their job! It reminds me of those cute apothecary jars, but on a much bigger scale. Plus the "jar" is plastic and I won't have to worry about my kids breaking it! So, while I am using it for Halloween and trick or treating treats, it could totally be changed up for any holiday, simply remove the washi tape and add different colors! 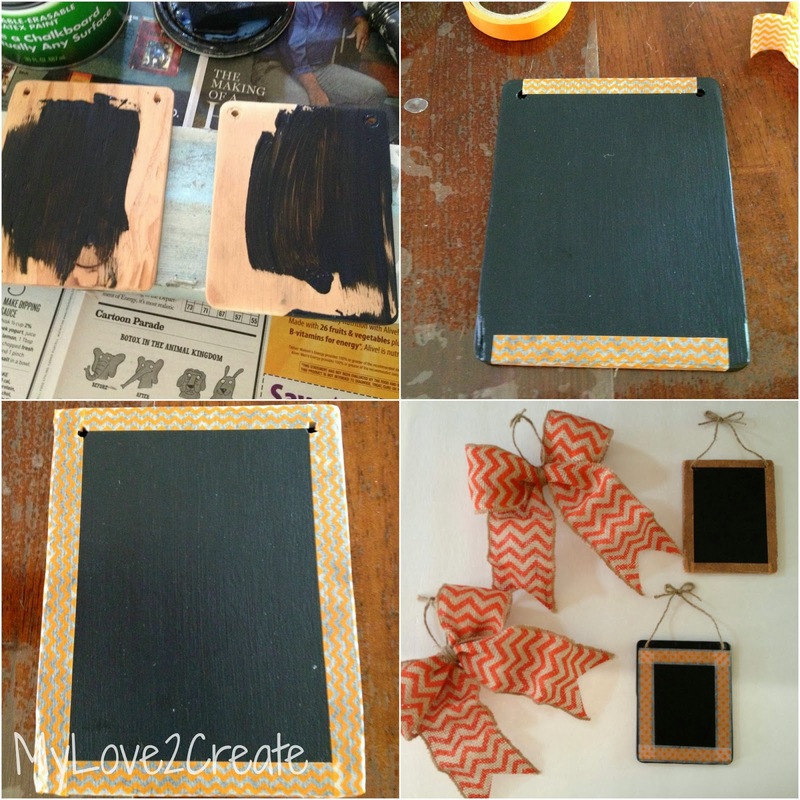 You could write anything on the chalkboards, they don't even need the washi tape, the possibilities are endless! I love that this project was almost free! (I did buy the animal crackers, months ago...=) I used the washi tape I had on hand, and spent less than $3 on the ribbon! Ah, much better. 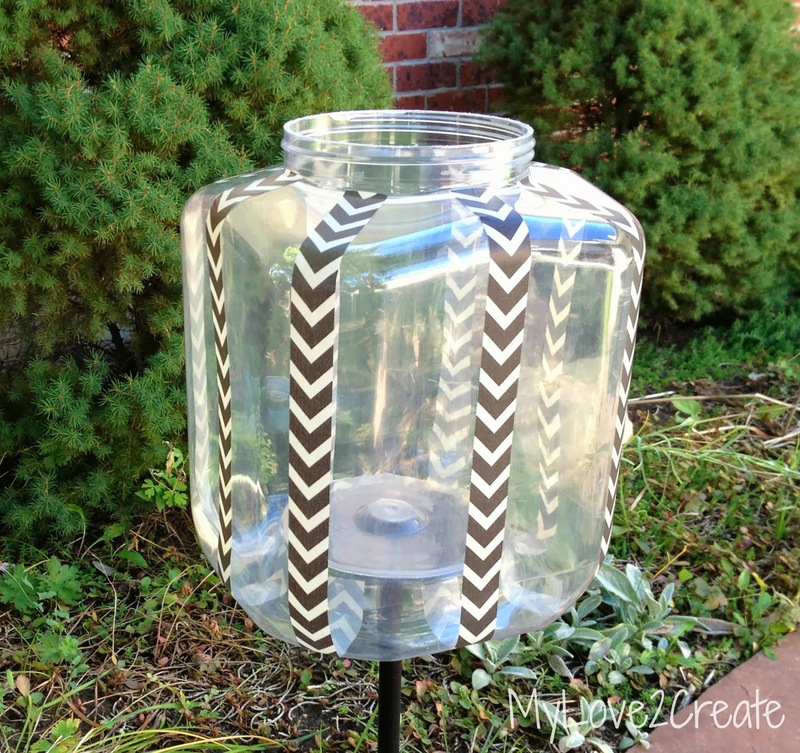 My kids liked the jar when I made it, but now they LOVE it! I hope you enjoyed my Apothecary Style Trick or Treat Jar! 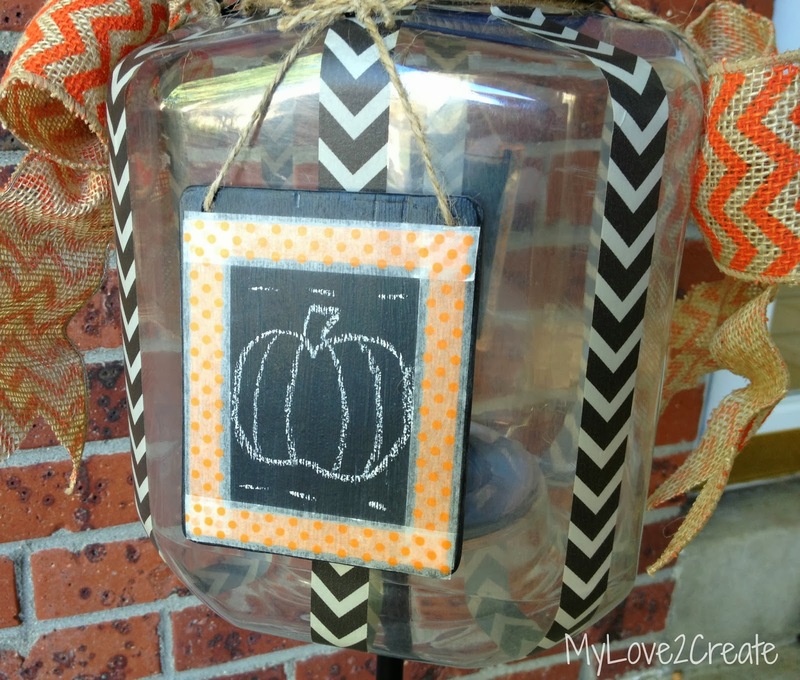 And now for the Halloween Project Parade Blog Hop & Link Party! 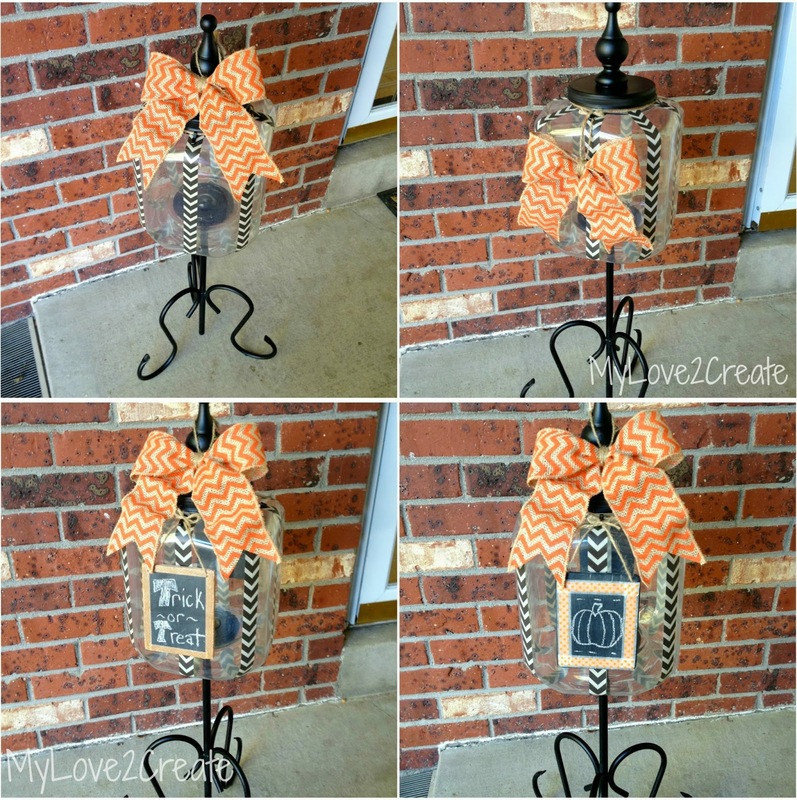 Let's get hopping with these fabulous Halloween Projects below! Stop by and follow along with these creative projects and inspiring blogs! Show us what you have been creating by joining in the Halloween Link party below. We will be showing and sharing them on social media - so link up! Fantastic project! And it fits loads of candy so all the better! This is amazing! Wow, that's a final on the plastic lid! I looks like metal. I like the recipe to get off that sticky stuff...keeping that for future use! Pinned it! Thanks for hosting friend! How cool that you are having a link party!!!! 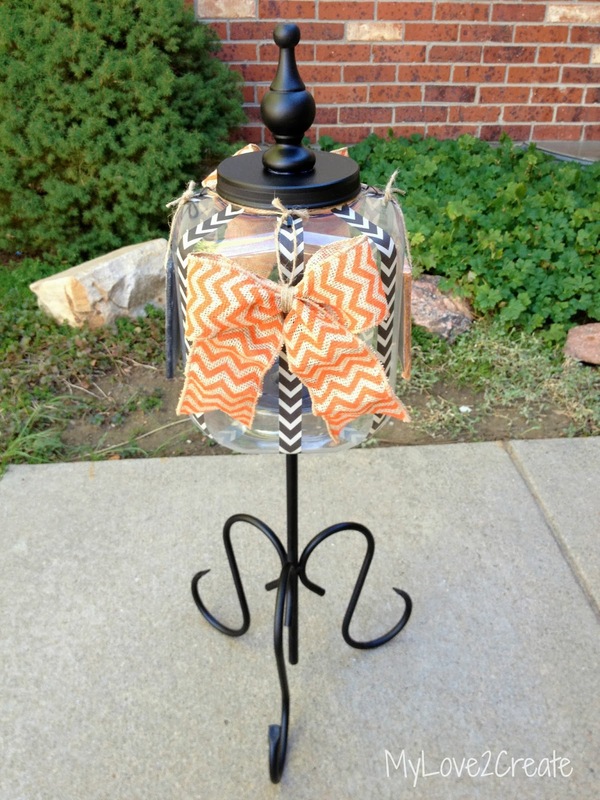 And this trick or treat jar completely rocks! I just love how you added a stand! It makes it so special and fun!!! I have never seen anything like it!! Have a great weekend lady! Happy Friday to you!!! Great Party. I pinned a number of things and followed also. Thanks. 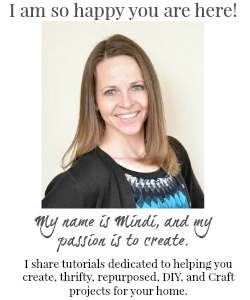 I love this project, Mindy! The finial makes a really good statement! I don't have Halloween projects to link up, so that little pumpkin would do for now ;) Thanks for hosting. Your Apothecary Candy Container turned out so great! I just joined in on your fun, so glad you came by to share at Be Inspired! 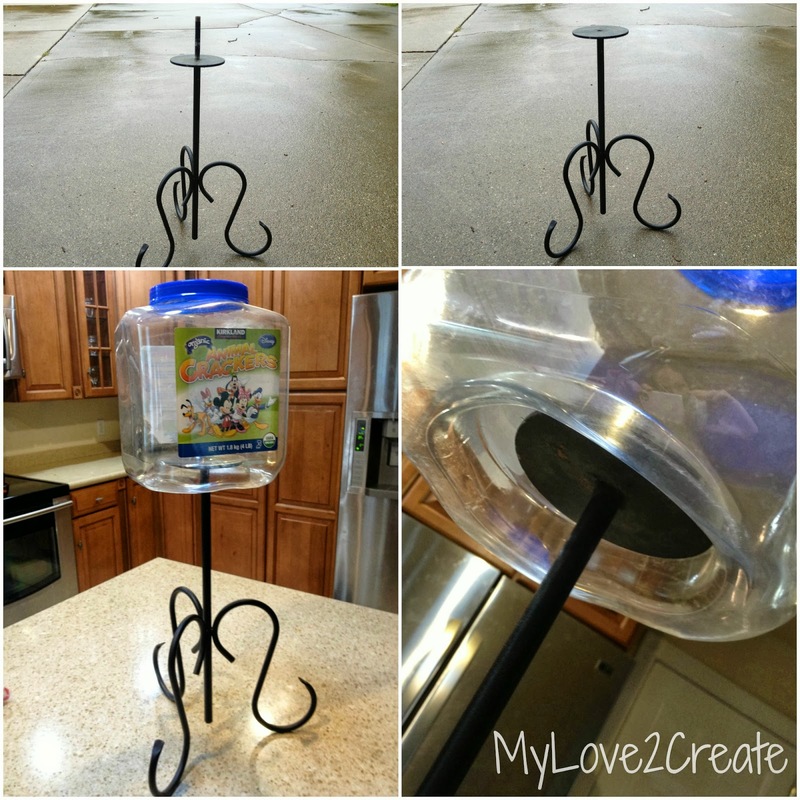 Mindi, this is so adorable and totally functional! I love hoe you come up with creative things out of stuff you have. :) Okay, I am so doing that vegetable oil and baking soda goo remover. I have been using Goo Gone. Thank you for that tip! I have nothing to link up. :( No fall or Halloween decorating this year. Hey, I bought some candy corn and we are going to a Fall festival here in our community. lol If kids were to go trick or treating here, they may very well be the treat. :( All the animals are fattening up for the winter. There was a deer carcass across the street from us and some "kitty cats" have been seen. I love that jar! but I must admit I would so steal it off your porch!!! Just kidding ;) Great project! I love these apothacary jars. I am so impressed with how you made yours. I think I'll try it! Thanks for party!! Mindy, these jars are just the best! Love them! Thank you so much for joining and sharing at Best of the Weekend - pinning, of course! Hope you have a happy Saturday and a fabulous weekend! 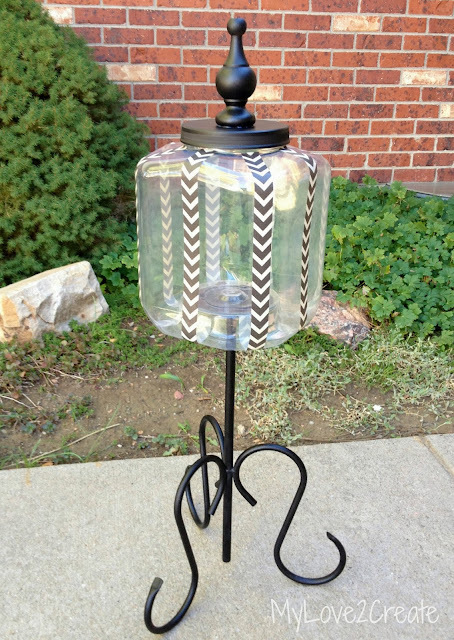 I love your jar and how you used it on the stand, it's adorable! I'd love for you to link up at my craft party this week at Sewlicious Home Decor! I LOVE this! So cute! Thanks for posting! FEATURING this on The Patriotic Pam tonight when the Weekend Link Party goes live at 7pm. I just couldn't help myself. LOVE IT!!! Thanks for linking up!!! I also sent you a Facebook message, couldn't find your email...please check it out too. Your creation is fabulous! So different, great upcycle and such a fun idea! Love it and your details were great! 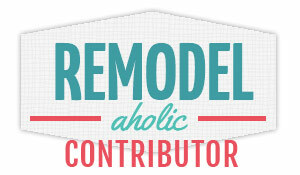 I'm featuring your cute project in a round-up to be published on 10/17. I'm a Throwback Thursday hostess and hated that your project wasn't featured. I hope you'll stop by on Thursday to comment and hopefully share! Cute Jar! Mine would stay empty when I'm in a candy mood!! 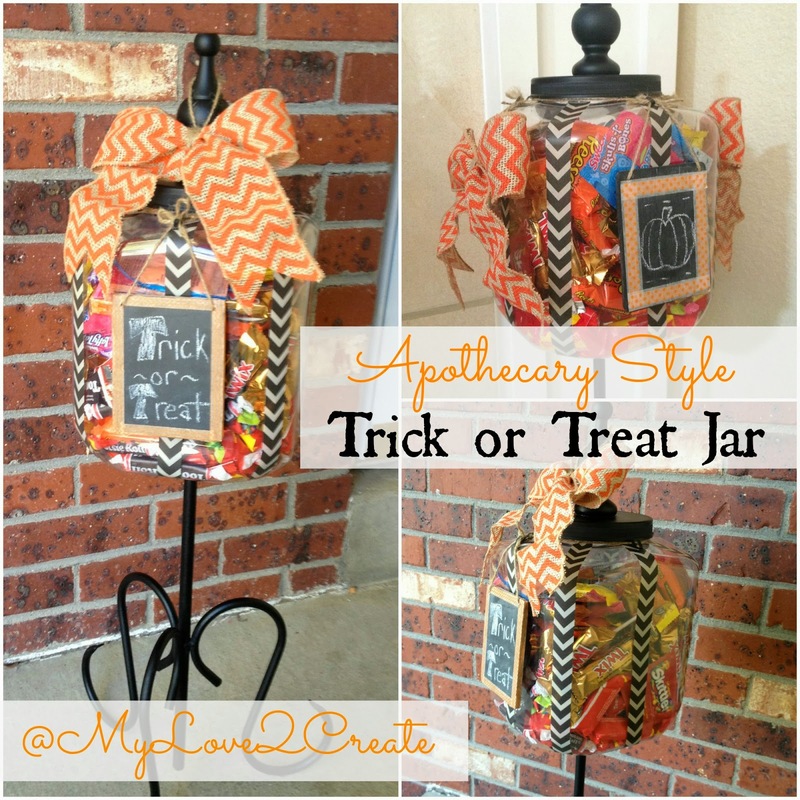 I love your candy apothecary jar! Thank you for sharing on how to do it! I love this jar! It's adorable. My kids would never let it stay unbroken but I love it!! 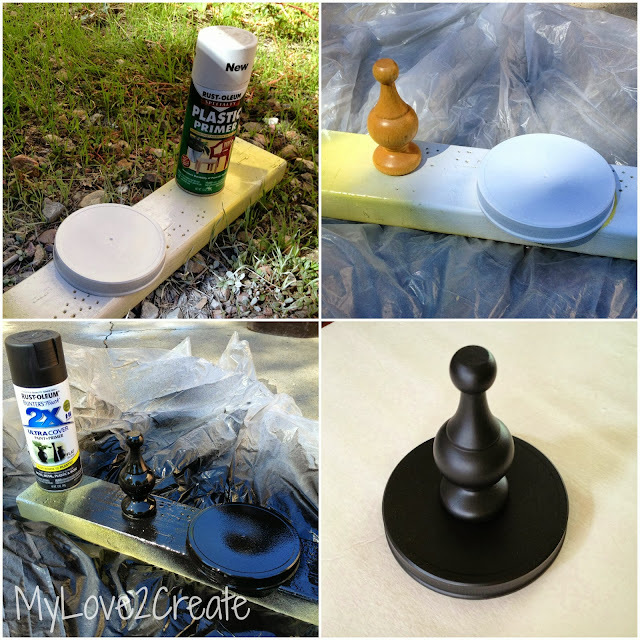 I am featuring these on my blog tomorrow :) Thank you for linking up to Get Your DIY On! Have a great Saturday! How clever Mindi! I will be featuring this tomorrow at Tell Me Tuesday! Have a great week!